Sonos comes to the Apple store, but what does that mean for Beats speakers? Apple is expanding its partnership with Sonos by bringing in the company’s most popular Wi-Fi speakers to an Apple store near you. Sonos announced that U.S. customers will be able to get the Play:1 and Play:5 on Apple.com by the end of Monday. These Sonos home speakers will also be coming to 468 Apple retail locations around the world starting October 5. And if you buy your Sonos speaker from Apple through December 31, you will receive a gift card to activate a free three-month trial of Apple Music. The Play:1 by Sonos will be available on Apple.com. 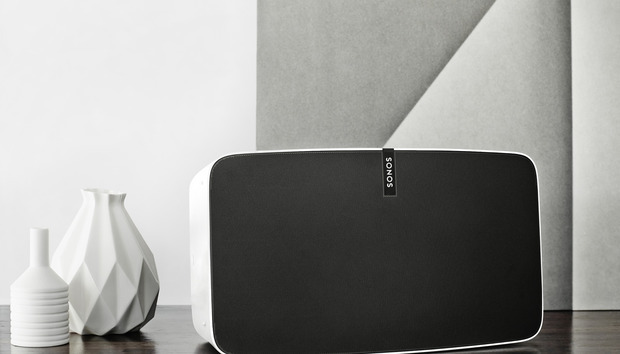 As part of the partnership, 140 Apple stores will have in-store demos of the Wi-Fi speakers using the Sonos iOS app. Originally, the partnership between Apple and Sonos involved beta testing and seamlessly integrating Apple Music into the Sonos ecosystem. Why this matters: Even though Apple now has its own line of speakers via Beats, Cupertino’s retail strategy has always involved other audio manufacturers like Bose, Harman Kardon, and Bang & Olufsen. Currently, Apple.com sells several third-party speakers, ranging from $100 UE Roll to the $2,391 Devialet Silver Phantom. What’s interesting about this expansion of the Sonos partnership, however, is that Apple allegedly had set its sights on developing its own “Sonos killer” by Beats. According to a rumor that surfaced last year, that strategy went into “limbo” after Beats failed to produce a Wi-Fi home speaker that was intended to launch in conjunction with Apple Music. Some people have suggested that Apple could now be using Sonos sales to test the smart speaker market before trying again to launch its Beats competitor. Currently, the only Beats speaker on the market is the Beats Pill+. Apple stopped selling the Beats Pill XL after a voluntary recall of 233,000 units due to an issue with their overheating battery.